Last Saturday was an amazing community fundraiser for our Footsteps to Ghana campaign. 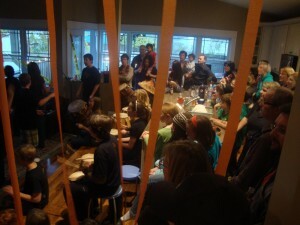 The O’Nyon family, friends of Baobab Community, hosted a pumpkin carving party and house concert with fantastic food and drink. 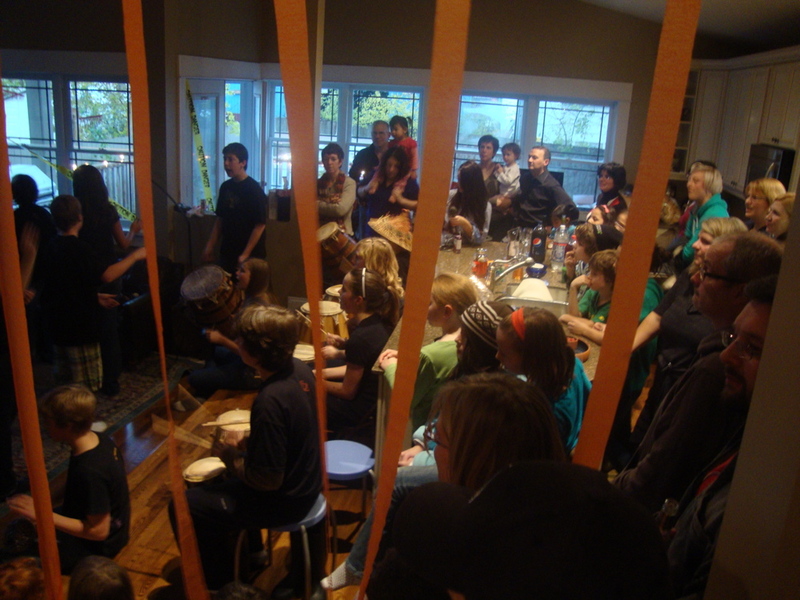 The weather was crappy but that didn’t keep people away, and after carving great orange heads outside, about 80 cold neighbours and friends of all ages crowded into the Westboro home for the rest of the festivities. The outdoor drum and dance concert was hastily arranged inside by moving furniture and adapting to what seemed to be a large space, until you got 20 teenage performers and their drums and gumboots into position. The rhythms reverberated off the walls, and the dancers smiles lit up the room, creating a humid cacophony of fun. It was a real village experience, bringing people, food, drink and community together. The event raised more than $500 in donations for the trip to Ghana in the summer of 2011. many thanks to the grand efforts and generosity of the O’Nyons! To see more info about the trip to Ghana click here! This entry was posted in Footsteps to Ghana, Uncategorized. Bookmark the permalink.